The Remo Weatherking Renaissance banjo head is composed of a single layer of mylar film with a textured surface on the top. This textured top has more of a skin head appearance and supplies a slightly warmer tone than the standard top frosted white heads. 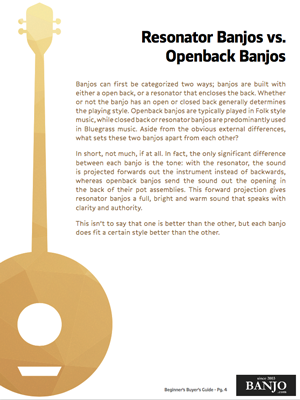 The medium crown height will work on either a flathead or archtop setup and is a good choice for bluegrass as well as open back banjos.